FreeFem++ is a partial differential equation solver. It has its own language. 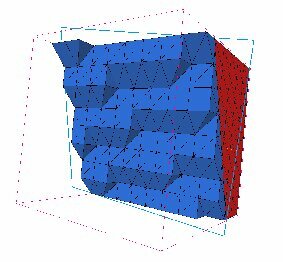 freefem scripts can solve multiphysics non linear systems in 2D and 3D. 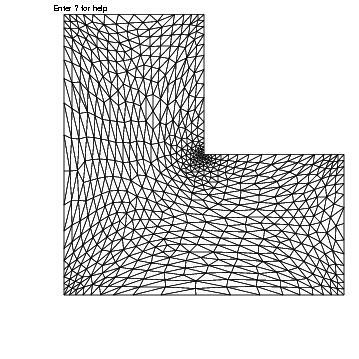 Problems involving PDE (2d, 3d) from several branches of physics such as fluid-structure interactions require interpolations of data on several meshes and their manipulation within one program. FreeFem++ includes a fast 2^d-tree-based interpolation algorithm and a language for the manipulation of data on multiple meshes (as a follow up of bamg (now a part of FreeFem++ ). FreeFem++ is written in C++ and the FreeFem++ language is a C++ idiom. It runs on Macs, Windows, Unix machines. FreeFem++ replaces the older freefem and freefem+. Solver a problem with one billion of unknows in 2 minutes! The computation will done in 2 minutes on the Curie Thin Node@CEA machine (6144 coeurs de 4Go de mémoire chacun), Thank to P. Jolivet, and F. Nataf. The 9th tutorial and Workshop on FreeFem++ (registration here), held december 14th and 15th, 2017, in Paris at Université Pierre et Marie Curie, Barre 16-15, 3ieme, 4 place Jussieu, Paris Schedule, All Presentation, examples and directory this all data . FreeFem++ cours, October 17th to 20 2017, Department of Mathematics, Oxford University, UK the zip file of the folder (presentation, examples, 7.8Mb) and the folder . 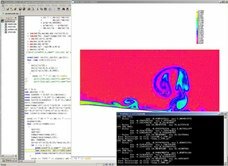 An Introduction to Scientific Computing using Free Software FreeFem++ , August 28 to September 1 2017, Department of Mathematics, University of Pittsburgh, USA the zip file of the folder (presentation, examples, 7.8Mb) and the folder . The 8th tutorial and Workshop on FreeFem++ (inscription here), held december 8th and 9th, 2016, in Paris at Université Pierre et Marie Curie, Barre 16-15, 3ieme, 4 place Jussieu, Paris Schedule, All Presentation, examples and directory this all data . The 7th tutorial and Workshop on FreeFem++ held december 15th and 16th, 2015, in Paris at Université Pierre et Marie Curie, Barre 16-15, 3ieme, 4 place Jussieu, Paris Schedule, All Presentation, examples and directory this all data . The Sixth tutorial and Workshop on FreeFem++ (inscription here), held december 9th,10th and 11th, 2014, in Paris at Université Pierre et Marie Curie, Barre 16-15, 3ieme, 4 place Jussieu, Paris Schedule, All Presentation, examples and directory this all data . Cours de presentation FreeFem++ Master I, Modélisation et calcul scientifique, Rennes I : Site du cours . A seminar at laga at Villetaneuse, france , jan, 2010 FreeFem++, a tool to solve PDE’s numerically. A presentation at MAMERN 09 . at Pau, france , june 11th, 2009, the slide Error indicator and mesh adaption, in FreeFem++ . A presentation and all the data files at Finite element fair . Helsinki University of Technology Institute of Mathematics, june 5-6Th 2009 , the zip file : FreeFem++, 3d tools for PDE simulation . Numerical modeling of Geophysical Flows by Finite Element techniques with FreeFem++ IMUS 2010 Univerty of Seville, Spain, Site of the cours . My seminar at Departamento de Ecuaciones Diferenciales y Análisis Numérico de la Universidad de Sevilla, Espagne, , janvier, 2011 Coarse grid Schwarz DDM parellel solver in FreeFem++ (y ε) (to install my FreeFem++ mpi version on your Mac 10.6 (Snow leopard) See this page ). Emc2 (Editeur de Maillage 2d) la dernière version (LJLL) et english documentation in pdf . A small movie (340Kb) : Cool air (green) comes from the lower left and mix with hot air (magenta), the right boundary is free. 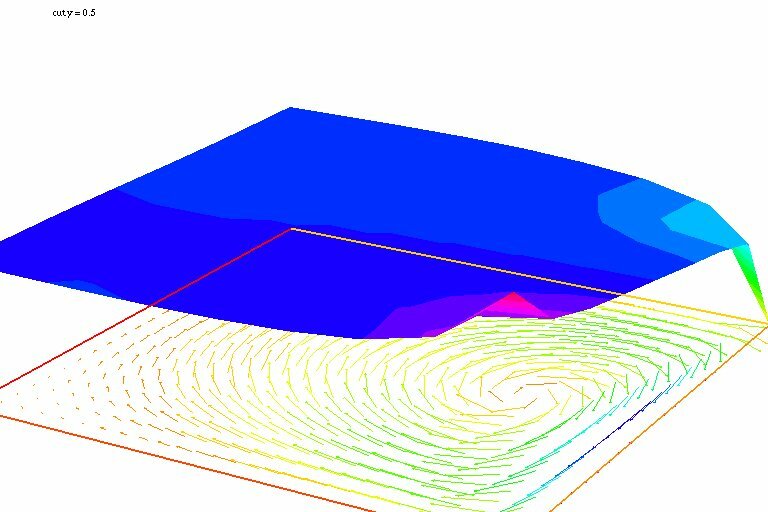 This is Navier-Stokes-Boussinesq integrated with P1-bubble P1 mixte finite element. fespace Vh(Th,P1);   //  to change P1 in P2 to make P2 finite element. Solution on adapted mesh and associated mesh. load "msh3" load "medit"  // dynamics load tools for 3d. real yy=i/10. ; // compute yy. // do 3d -> 2d interpolation. 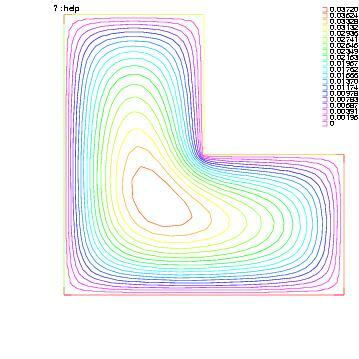 Solution on cup plan y=0.5 and mesh 10x10x10 and associated mesh. This directory contains all the different versions of FreeFem++. for emacs editor you can download ff++-mode.el : here (thanks to Rafa Rodríguez Galván <rafael.rodriguez@uca.es>). for textmate 2 editor on Mac 10.7 or better, download from macromates.com and install it, when get the textmate freefem++ syntax from www.freefem.org/ff++/Textmate2-ff++.zip (version june 2107) unzip Textmate2-ff++.zip and follow the explanation given in file How_To.rtf.